The legacy of the Grand Caravan is one that other automakers have taken into account with each of their subsequent minivan designs. What does this mean for you? Well, it means that if you’re after a used Dodge Grand Caravan for sale in Bonnyville that you’ve come to the right store for precisely that. It also means that you’re going to have opportunities to get into an award-winning vehicle that has been the top of the segment for 3 decades. Equipped with the impressive and not to be redundant here but facts don’t lie – award-winning 3.6-Litre Pentastar VVT V6 engine. You can be sure that you’re going to receive great fuel economy as well as enjoy the wide variety of features and technology that have turned the class on its head and given other companies reasons to pause and consider what they are doing wrong. 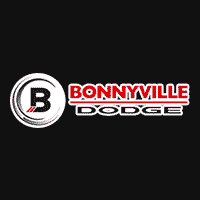 Work with our team today at Bonnyville Dodge and allow us to help you narrow down the models we have on site until you can confidently tell us that you’ve found the option you really want to take home. With the Grand Caravan, it all comes back to you as the driver. Are you an adventurer that needs more of the amenities to get you and your family farther? Do you want some of the added benefits of class-exclusive Stow ‘n Go Seating and additional storage? How about the fact that a used Dodge Grand Caravan for sale at Bonnyville Dodge offers best-in-class towing capacity? Whatever you happen to need from your next minivan awaits you within the Grand Caravan available at Bonnyville Dodge, today! We’re looking forward to making your experience a great one – after all – you deserve an experience that matches the vehicle you’ll take home and at our store, we aim to give you that and much more! Experience an elevated dealership team and find the Grand Caravan that meets your needs head-on.